Back in 1960 we battled Wolves for the league title and went on to win it, 1988 saw us meet in the Sherpa Van Trophy Final at Wembley which they won, but today they come to Turf Moor with us fighting for our Premier League lives with seven games remaining. Most of us thought at Christmas that our run in the top league was coming to an end but when we beat Spurs at home five weeks ago our views had changed. We’d moved up to 14th in the table and were six points clear of the relegation positions. We were on a run of eight games without defeat but things have gone horribly wrong since with four successive defeats that have now left us just two points clear and Cardiff, currently 18th, having a game in hand. Suddenly the need for points is even more critical than it was after that Spurs win. Then, I thought two wins would do it. I still do, but two wins from seven, with some tough games to come, is not quite the same as two from eleven. We’ve seen all of Crystal Palace, Newcastle and Brighton go above us, two of them helped by beating us in the first of those four games. Wood hasn’t played the full ninety minutes in a game since scoring the opener in that Spurs win, but we need him and Ashley Barnes both firing again as we go into this crucial stage of the season when, Steven Defour and Aaron Lennon apart, we should have a fully fit squad with the only question mark over Jόhann Berg Guðmundsson with presumably Jeff Hendrick standing by to replace him. Should JBG be fit, it’s likely that we will have the same team that lost against Leicester which was: Tom Heaton, Phil Bardsley, James Tarkowski, Ben Mee, Charlie Taylor, Jόhann Berg Guðmundsson, Ashley Westwood, Jack Cork, Dwight McNeil, Ashley Barnes, Chris Wood. Subs from: Joe Hart, Matt Lowton, Kevin Long, Ben Gibson, Stephen Ward, Jeff Hendrick, Robbie Brady, Matěj Vydra, Peter Crouch. It’s been a good return to the Premier League for Wolves after a five year absence during which they dropped into League One for a year. They won the Championship last season with an incredible 99 points and are currently seventh in the Premier League on 44 points from 30 games which is one point more than we had at the same stage last season. They’ve also gone on a run in the FA Cup which has seen them beat Liverpool, Shrewsbury, Bristol City and Manchester United to land a semi-final at Wembley against Watford. In the league this season they’ve already won five games away from Molineux, those coming at West Ham, Crystal Palace, Newcastle, Spurs and Everton. They go into today’s game with only one player unavailable; Ryan Bennett is the only player ruled out as he serves a two match ban for receiving ten yellow cards. Wolves beat Manchester United in the FA Cup in their last game. Raúl Jiminéz (pictured) and Diego Jota scored their goals in a 2-1 win while their last league game ended 1-1 at Chelsea. Again Jiminéz scored with Eden Hazard equalising in stoppage time. Their team against Chelsea was: Rui Patrício, Romain Saïss, Conor Coady, Willy Boly, Matt Doherty, Leander Dendoncker, Rúben Neves, João Moutinho, Jonny Otto, Raúl Jiminéz (Adama Traoré), Diogo Jota (Morgan Gibbs-White). Subs not used: John Ruddy, Ivan Cavaleiro, Hélder Costa, Rúben Vinagre, Max Kilman. We’d just won 3-1 at Huddersfield, a sixth successive win in the Championship that had left us four points clear of Middlesbrough and six points ahead of Brighton who were in third place. Wolves were in mid table with Burnley expected to beat them. They gave us a really difficult game for long spells but it all looked to be going our way when Sam Vokes scored with not much more than twenty minutes remaining, the goal coming when it looked anything but likely. Matt Lowton got the ball on the right touchline. He played it inside for Joey Barton whose cross found Vokes to head into the corner, an outstanding finish. Embed from Getty ImagesIt was into the second minute of stoppage time when referee Fred Graham wrongly awarded Wolves a corner. Over it came and Danny Batth headed home the equaliser to end the winning run. Wolves had more than played their part. We’d been frustrated by them and frustrating throughout the game and the negativity and derision in the stands was incredible, more so given that we were top of the league, had 75 points from 38 games and were on a run of 15 games unbeaten. 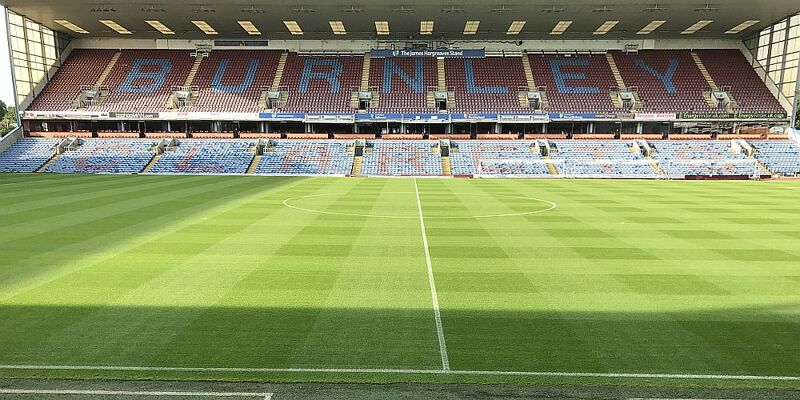 Burnley: Tom Heaton, Matt Lowton, Michael Keane, Ben Mee, Stephen Ward, George Boyd, Joey Barton, David Jones, Scott Arfield, Sam Vokes, Andre Gray (Rouwen Hennings 81). Subs not used: Paul Robinson, Tendayi Darikwa, James Tarkowski, Dean Marney, Matt Taylor, Michael Kightly. Wolves: Carl Ikeme, Dominic Iorfa, Danny Batth, Kortney Hause, Matt Doherty, Conor Coady, Jack Price, George Saville, Jed Wallace (Nathan Byrne 81), Michal Zyro (Joe Mason 73), Jeremy Helan (Bjorn Sigurdarson 72). Subs not used: Damian Martinez, Sylvain Deslandes, Kevin McDonald, Adam Le Fondre.